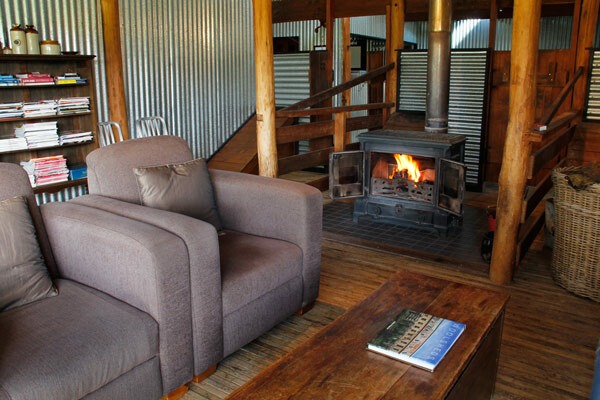 Experience rural history in contemporary comfort in the 5-bedroom Black Sheep Inn Woolshed. 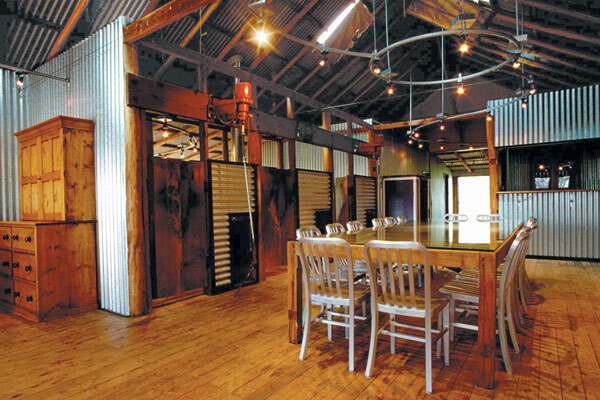 The property’s original shearing shed has been transformed into modern and stylish bed & breakfast accommodation. It can be booked out to a big group (the nearby Whispering Moon Cottage can provide 2 more bedrooms if required), or the rooms in the Woolshed can be booked for individual couples. It’s kept wonderfully warm in Winter by the open fireplace (with air-conditioning heating/cooling in the bedrooms). The key elements of the building have been painstakingly conserved, such as the timbers hand-cut from the property, the galvanized iron, the flooring and sheep chutes, the wool table, the red Sunbeam shearing machines, the wool baskets and the huge Koerstz wool press. 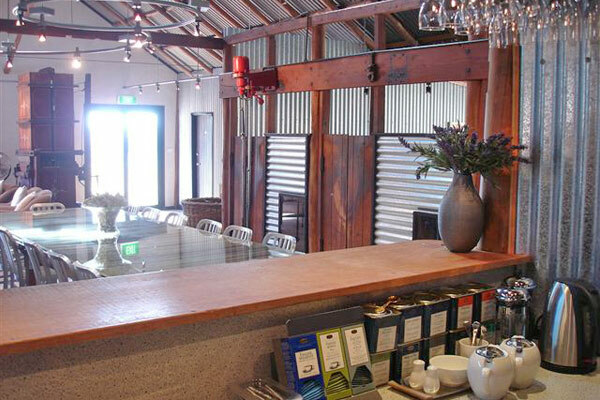 But the accommodation facilities of Black Sheep Inn provide a distinctive twenty-first century pizzazz and a unique rural experience. The five guest bedrooms, each with an ensuite, are more than just a place to sleep.They have a sense of tranquility created by light, soft colours and peaceful views. 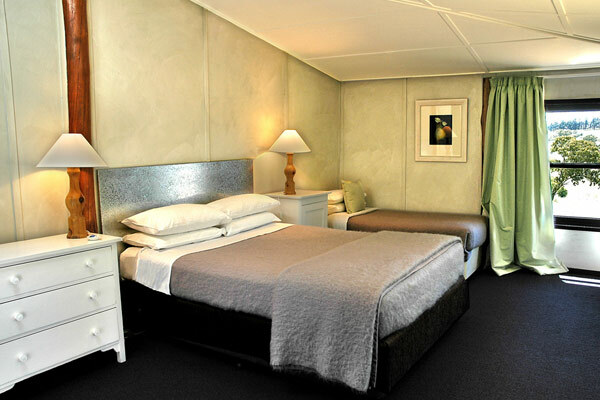 Each has reverse-cycle heating and cooling, and queen beds with welcoming Australian mohair blankets and electric blankets. Three rooms have an additional single bed. 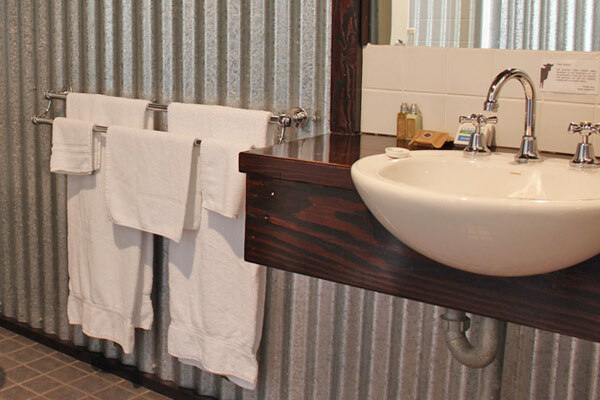 We provide linen, towels, L’Occitane toiletries and hair-dryer. The two communal areas have a sleek, spacious, rural feel. Breakfast can be a lingering affair at the glass-topped, restored wool sorting table in the main dining and lounge area. We delight in serving you with a celebration of local, fresh and seasonal produce. BBQ and kitchen facilities are also available to guests, including fridge, stove, oven and dishwasher. A separate lounge area, warmed by a huge old Coalbrookdale wood-fired stove, is an ideal place to read, play games or just relax. 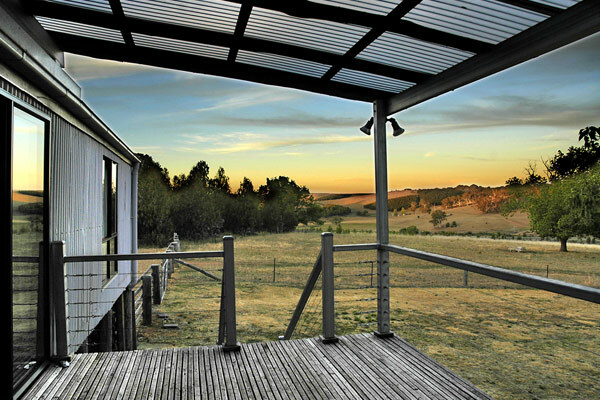 Enjoy the peaceful views to the east over the Molong Creek valley.